Anisoprint, a Russian manufacturer of continuous carbon-fiber FFF 3D printers and materials, will showcase its patent-pending technologies for high-performance composite materials at the JEC World 2019 international composites show in Paris next week. At the show, the Anisoprint Robotic Solution a dual-nozzle, Composite Filament Coextrusion (CFC) technology will be presented. It is capable of to processing plastics such as PETG, PEEK, and ABS with finer reinforcement. “I am convinced that composites will become the new materials of the 21st century,” said Fedor Antonov,” CEO of Antisoprint. 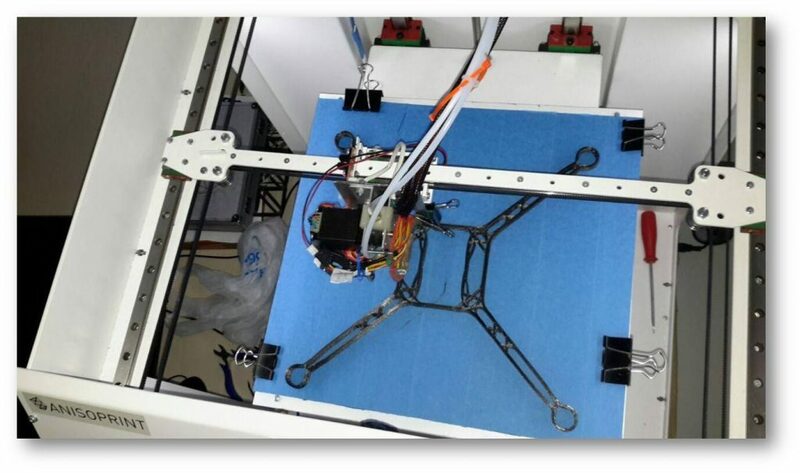 Founded in 2015, Anisoprint develops desktop 3D printers capable of processing composite materials, producing structural parts with increased mechanical properties. In 2017, the company presented the latest iteration of its continuous fiber reinforced polymer (CFRP) composite material 3D printer at a conference in Skolkovo, Russia.